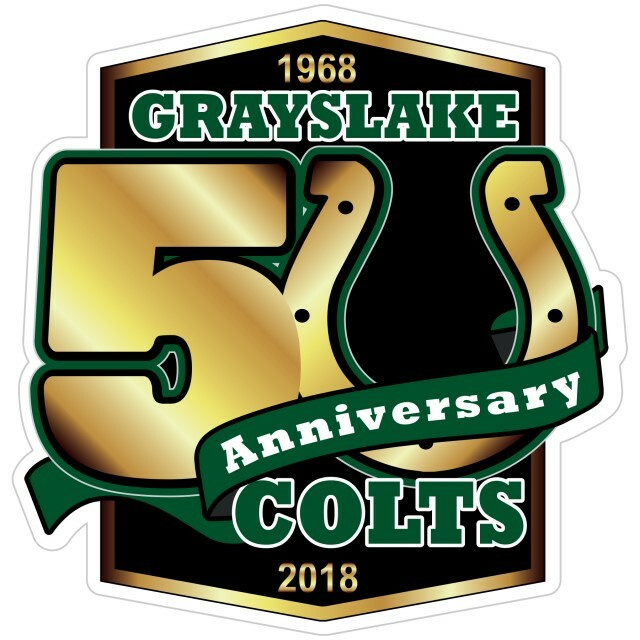 Updated Monday March 19, 2018 by Grayslake Colts Football, Cheer & Dance Association. In 2018 we are celebrating our 50th Anniversary! Currently, we are still planning our special activities for the upcoming season and welcome any suggestions that you may have. In addition, we are reaching out and trying to contact as many Colt's alumni as we can. If you know any alumni, please ask them to contact Mark via email at fundrasing@grayslakecolts.org as we are trying to form a contact list to invite as many alumni as possible to attend this year's home coming games. Please check back often as information will be updated as soon as it is available!